South Eastern Regional College (SERC) are preparing to host three Summer Schools from 25-29 July, 1-3 August and 1-5 August 2016 for budding musicians, actors and dancers aged between 12-16 years old. The Summer Schools will take place at SERCs brand new performing arts and music centre at the colleges SPACE Campus in Bangor. Participants can choose from five days of music or performing arts or three days of dance. Budding dancers will get the opportunity to create, perform and participate in a fun learning environment as well as explore contemporary and commercial dance techniques and styles. The Performing Arts Summer School will focus on the development of acting talent. Participants will take part in interactive improvisation and devising drama workshops. They will also learn how to act to camera, utilize green screen and industry standard video editing tools and will gain the skills and knowledge to produce their very own short films. Meanwhile, those interested in the Music Summer School will get the chance to experience life as a professional musician and receive tuition from experienced professionals. The Summer School will consist of band rehearsals lead by experienced musicians and an introduction to the latest technology in the Colleges very own state-of-the-art recording and editing studios. Participants will also learn the tools used by professional composers and perform in the critically acclaimed SPACE venue. Participants on the Music Summer School must have some knowledge of an instrument. Drums and keyboards will be provided, but guitar or bass players must bring their own instruments. 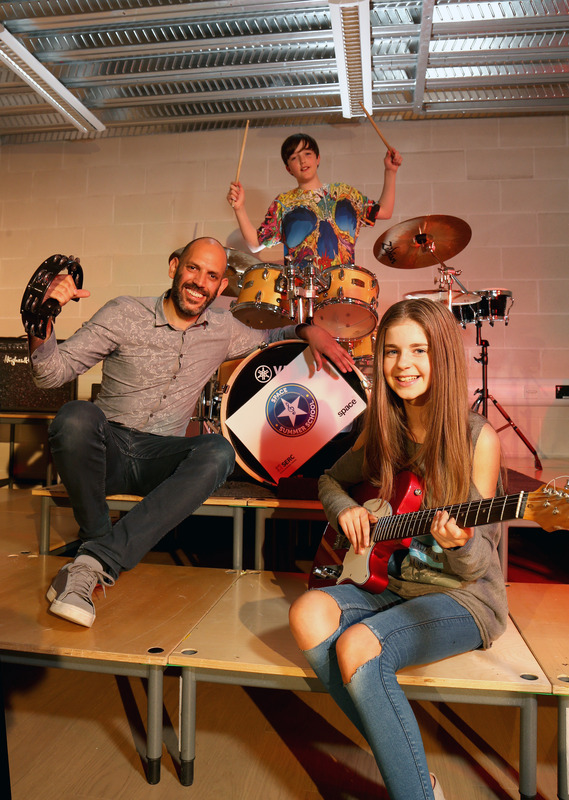 The Summer Schools will provide participants with the opportunity to meet, perform and socialize with like-minded talented musicians giving children a bite-sized taster of a career of their choice. The action packed programmes will offer participants a range of hands-on activities and other fun and educational experiences. Photo caption: SERC Summer School: SERC are preparing to host three Summer Schools from 25-29 July, 1-3 August and 1-5 August 2016 for budding musicians, actors and dancers aged between 12-16 years old at the colleges SPACE Campus in Bangor. Pictured at the launch event is SERC tutor Antoine Rivoire and participants Melissa Brown from Newtownards and Tom Martin from Belfast.